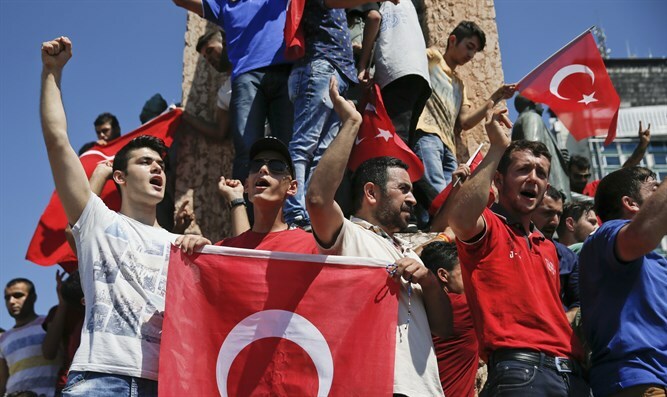 Turkish President reasserts control after military attempts coup. Purge of military underway. Following a failed coup attempt mounted by Turkey’s military, Turkish President Recep Tayyip Erdogan has reasserted his control over the country. After the botched attempt to overthrow the government which left more than 260 dead, Erdogan has set out to purge the judiciary and military. More than 2,700 judges have been removed and nearly 3,000 soldiers arrested. Army units occupied two key bridges in Istanbul, shutting down traffic in much of the city. State television and Ankara’s airport were also seized by the military in the coup attempt. Flights to and from Ankara were cancelled following the take-over. Turkish President Erdogan issued no statements in the early hours of the coup, leading to suspicions he had been taken prisoner. Later, Erdogan spoke out, condemning the attempted coup and placing blame on an Islamic cleric living in exile in the United States, Fethullah Gulen. On Saturday, Prime Minister Binali Yildirim announced that the death toll had risen to 265, with 1,440 people wounded.